TSM gain a new bot lane. TSM has added G2 bot lane duo Jesper “Zven” Svenningsen and Alfonso “mithy” Aguirre Rodriguez to complete its 2018 roster, the team revealed earlier today. Prior to this announcement, TSM released a farewell post for AD carry Yiliang “Doublelift” Peng, who joined the roster at the beginning of 2015. Shortly after TSM’s farewell post, Team Liquid revealed its signing of Doublelift, confirming a report by TheScore Esports. Although the organization wasn’t revealed, TSM assured fans in its announcement that Dennis “Svenskeren” Johnsen and support Vincent “Biofrost” Wang have found new teams to play for. 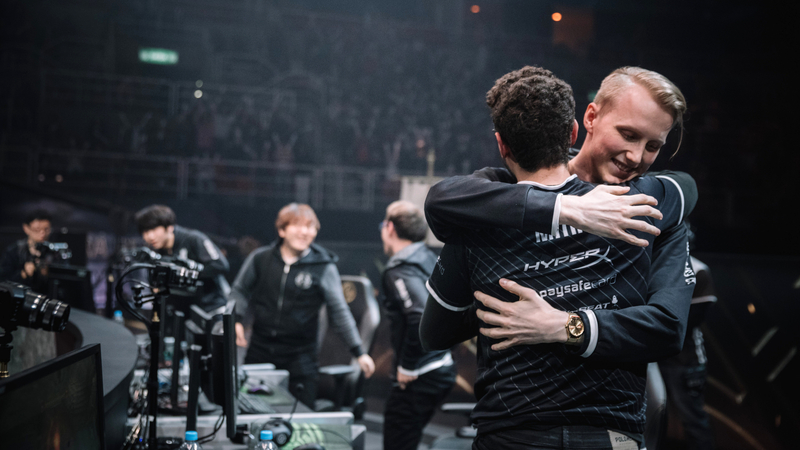 Considered the best duo in Europe, Zven and mithy have accrued a myriad of achievements throughout their time playing together. On Team Origen, where the two were first paired, Zven and mithy achieved a top four finish at the 2015 World Championship. Zven and mithy, following their move to G2 Esports, won three EU LCS titles, and made the finals of the 2017 Mid Season Invitational. The news of Zven and mithy’s arrival comes only a day after TSM announced the addition of former Phoenix1 jungler, Michael “MikeYeung” Yeung. While mid laner Søren “Bjergsen” Bjerg already confirmed that he would be staying with TSM in a Twitter post, this announcement revealed that top laner Kevin “Hauntzer” Yarnell would also remain on the roster. TSM currently reign as the kings of the NA LCS, winning the last three NA LCS splits. But TSM couldn’t carry their domestic success to the World Championship stage, failing to advance past the group stage.